Brush and foam felting pads in sizes to fit your needs. 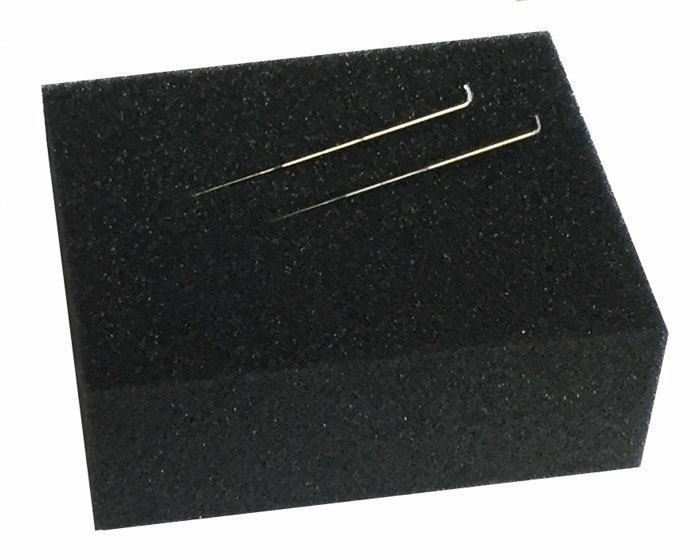 Buy a firm foam pad in a larger size to last through many projects, or select a small pad with a couple of felting needles for group or class felting projects. Brush pads for the serious needle felter will last indefinitely. Needle Felting Foam Pad - 8" x 10" x 2"
A high density, 2" thick felting foam pad to put under your needle felting project. It will give you a nice, firm work surface to work that protects the felting needle tips and is long lasting. NOTE: orders of mor3e than 5 pads may come in separate packages to keep shipping costs as low as possible. Just need a small pad and a couple of needles for a project? 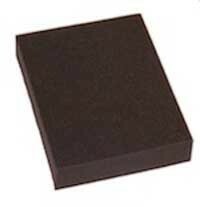 Buy this small 2" thick felting foam pad to put under your needle felting project, with two 36 gauge felting needles. Pads are hand cut and will vary somewhat in size. This a brush-like needle felting mat that is an alternative to using a foam felting pad. Use the mat to extend the life of your needles. Small pad surface is 2.5" x 3.5". Large pad surface is 3.25" x 5.25".